If there is such a thing as a color bug, I’ve been bitten by it. Either that or it’s just all of the amazing colorful looks that I’ve seen while scrolling through my Instagram feed. Either way, I’ve had a hankering for putting bold bright shades on my eyes as per late, and had been looking to add something to my collection to give me a little more variety than what exists in all of my neutral palettes. At first I spent a fair amount of time hemming and hawing over the new Sephora Pro Editorial Palette, but spending $68 on something that I would only use for creating looks to film or photograph seemed like a bit of an unwise investment. But then, I made a discovery. While prepping my shopping cart to purchase the Morphe x Jaclyn Hill collaboration, I noticed a palette that was EXACTLY what my heart desired. 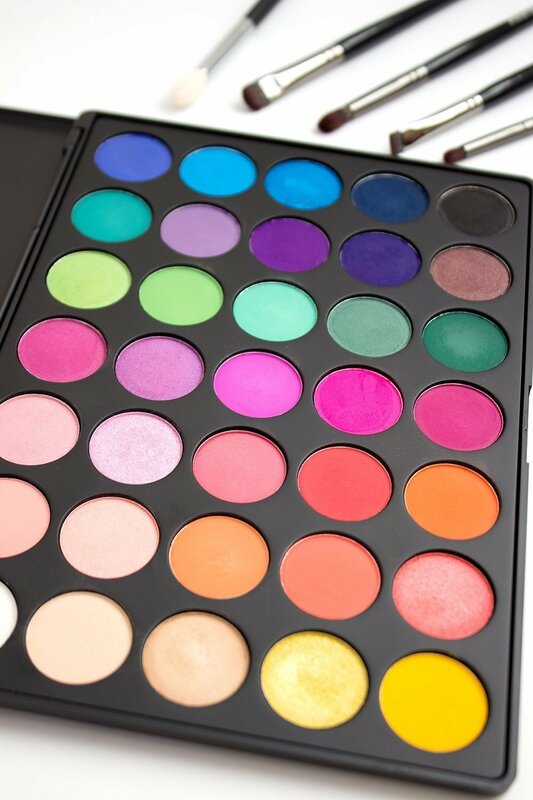 The Morphe 35B Palette had 35 stunning ridiculously colorful shades and retailed for only $19.99. Paying $68 for an artistic palette when you aren’t a makeup artist is iffy, but $20? $20 I can justify. Surprisingly, I had never tried anything from Morphe before (the Jaclyn Hill palette was to be my first purchase) and I decided that this was a wonderful opportunity to explore the brand. So I snatched that baby up along with a few eye brushes that I thought would be helpful for getting my inner MUA on, and am here to report back on my thoughts! Talc, Mineral Oil, Kaolin, Titanium Dioxide, Magnesium Stearate, Isopropyl Palmitate, Lanolin, Methylparaben, Propylparaben. May contain: Mica and Titanium Dioxide, Iron Oxides, Manganese Violet, Ultramarine Blue, Chrome Oxide Green, Hydrated Chrome Oxide Green, FD&C Red No.40 Al Lake, FD&C yellow No.5 Al Lake, FD&C Blue No.1 Al Lake. Now, on to the fun part! The color selection in this palette is absolutely divine. 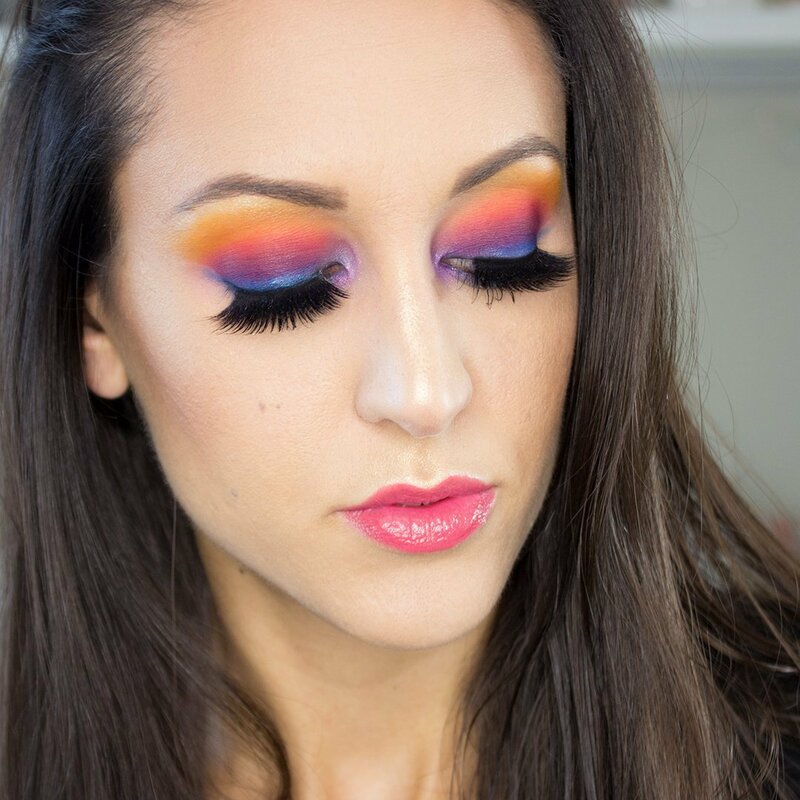 Not only do you get the entire rainbow to play with, but you also have a matte white, a matte black, and a matte beige shade. 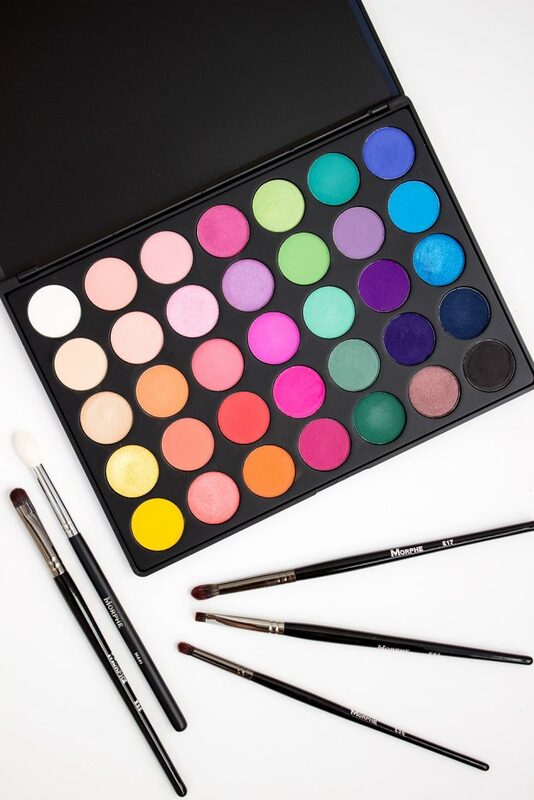 Often times colorful palettes are lacking these staples, which means reaching for another palette to complete your look, so I really appreciate them being included. The balance between mattes and shimmers is also on point. In each color family you have options for both types of finishes, which allows you tons of flexibility in the looks you’re creating. I really honestly can’t think of anything that is missing or that I wish they would have swapped out. If I’m being super picky MAYBE I could have done without the shimmery brown (shade #30 below) and instead received a shimmering royal blue or purple. Don’t get me wrong, it’s a pretty color. It just feels a bit out of place. As much as I can make googley eyes over the shade range in this palette, it does have one huge drawback. The performance of the shadows themselves are incredibly inconsistent. 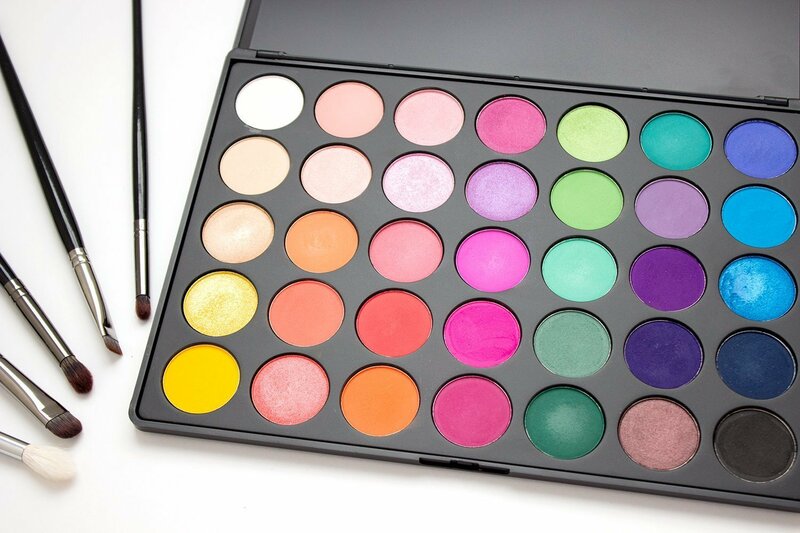 Having learned a thing or two from Jaclyn Hill when she discussed the palette she made in collaboration with Morphe, most makeup manufacturers press all of the pans in an eyeshadow palette the same way, regardless of the individual formulation of the shadows themselves. This can have an effect on their texture and pigmentation, as not all shadows shine with the same treatment. She claims this is part of the reason her palette is almost double the cost of a traditional Morphe palette, as she wanted to have each of the 35 colors pressed in a way that maximized its performance, which is (as you can imagine) a lot more timely and labor intensive. Long story short, some of the mattes feel super soft and easy to work with, others are much more stiff, some of the shimmers feel creamy, and others feel a bit more dry and lacking in pigmentation. They all seem to build and blend out well in the end, but some shades start out much more patchy and involve more work to perfect than others. 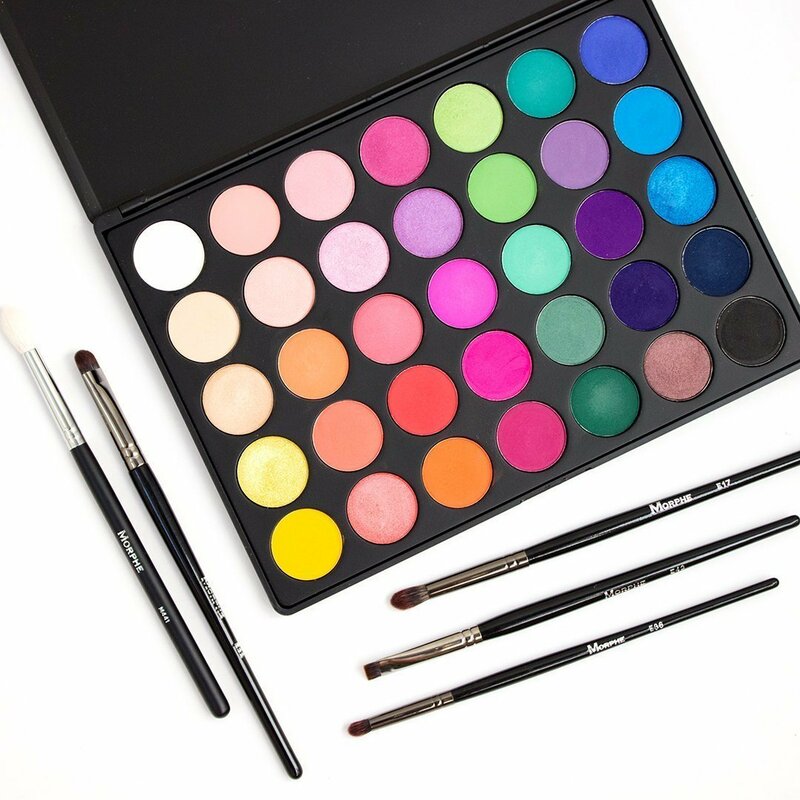 If you buy this palette you’ll come to learn that each color has a bit of a learning curve in terms of the best method to apply it and the type of brushes you’ll want to reach for. Is that a pain? Kind of. But this to me is the trade off for only spending $20. If I’m spending less than $0.50 per pan of shadow I almost expect the inconsistencies. I also know that this is not the kind of palette I’m going to reach for when I want to do my makeup in 10 minutes and be out the door. It’s for times where I want to sit down and be creative, and when I expect to be investing a bit more time and effort into the look I’m creating. Speaking of which, here is one I created the other day! I was really inspired at first by shade #33, which is an absolutely stunning shimmery turquoise. At first I had no idea where I wanted to go with things, but I eventually decided to do a sunset gradient that I think ended up looking really cool. 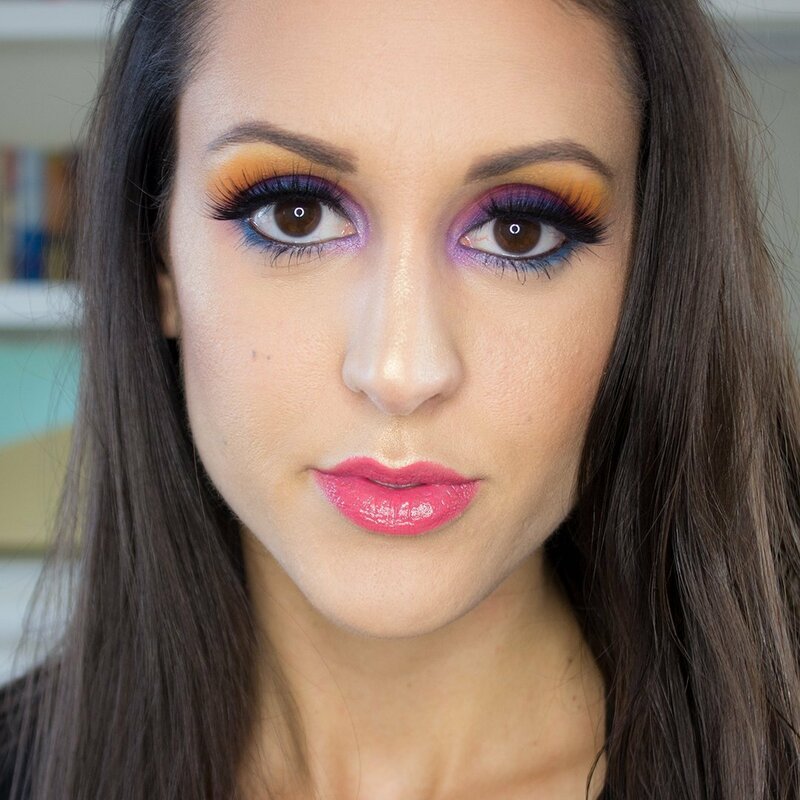 This also allowed me to end up using a bunch of different colors from the palette, which was a great opportunity to see how they performed on the eyes. One thing I learned was that as soon as I picked up the M441 brush I was able to really build up the intensity of the shadows. This is a slightly stiffer natural haired blending brush. 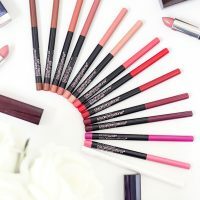 So if you’re someone that typically uses very soft synthetic bristles, just be aware that you may have more difficulty picking up product with some of the stiffer matte shades. Similarly, the shimmers will definitely pack more of a punch if you apply them directly to your eyes with your fingers, or foil them with a setting spray. Another thing I learned is that some of the darker shades stain like crazy. After doing these swatches my arm looked crazy for a good 24 hours! On one hand this means they will stick around on your eyes all day long, but it also means you might have to spend a little more time taking off your makeup at night. The final verdict? I am entirely happy with my first Morphe experience. 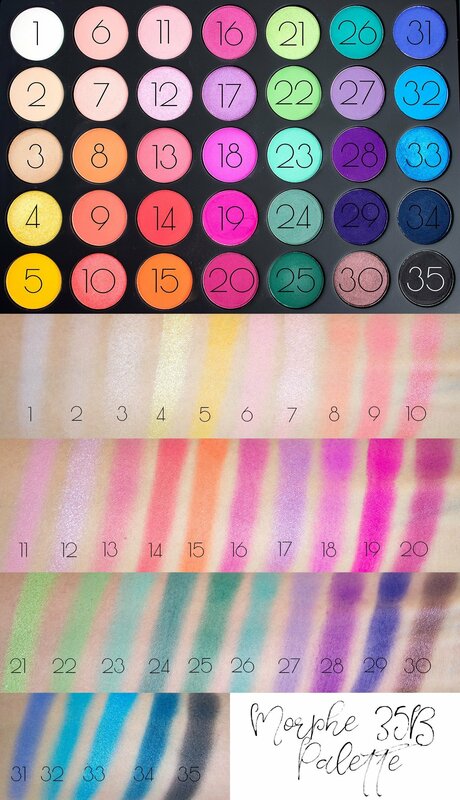 Are these the most amazing eyeshadows on the planet? Most certainly not. But will they get the job done? Absolutely. 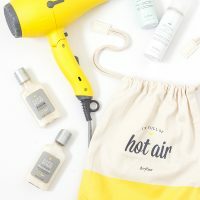 If you’ve been curious about experimenting with color, I think this is a great affordable investment to get your feet wet. Prep your eyes with a good primer, play around with some different brushes, and I think you’ll be pleased with your results! What product from Morphe should I try next?